24 Hours of Actions for the 5 Demands! 24 Hours for the 5 Demands! Make a highly visible and non-violent action in solidarity anytime 5pm July 30th – 5pm July 31st. 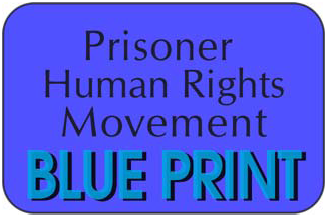 Let the world and politicians know you support the California prison hunger striker’s Five Core Demands against torturous treatment. Post your events to the Upcoming Events Calendar. Don’t forget Facebook and Twitter (tweet #CAHungerstrike #PBHungerstrike and follow @CAHungerStrike)! Afterward, send in your photos and stories of solidarity action to inspire others! Outreach materials are available online. Join a solidarity fast wherever you are to show your support. Hunger striking prisoners are enduring retaliation on top of starvation! You can help stop their suffering now. California Governor Jerry Brown is ignoring their demands! He must be forced to account for his inaction. CA Department of Corrections is hiding their inhumane treatment from the press and public. They must be stopped and held up to the Five Core Demands. 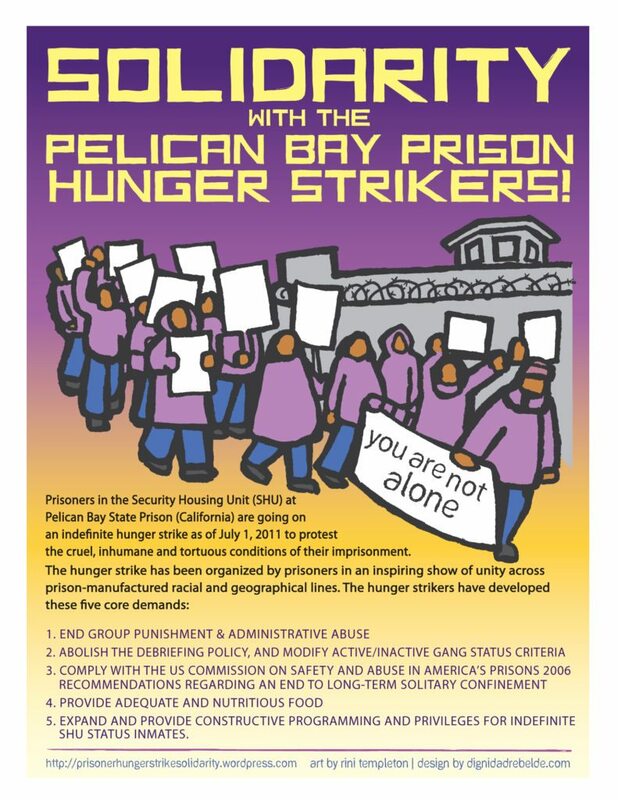 This entry was posted in Action Alert, Outside Prison and tagged #CAHungerstrike, #PBHungerStrike, Call to Action, Day of Action, Hunger for Justice, Rally, Solidarity actions, Solidarity Fast, Upcoming actions, Upcoming events. Bookmark the permalink. I wish I could be there to take part but i will be fasting on Tuesday in solidarity. God bless you all . How is it that Jerry Brown can get away with doing absolutely nothing? it’s as if the end of the world really IS around the corner and no-one gives a damn. You can also complete a citizens complaint form, send to Warden of the Prison and to Internal Affairs… you don’t have to list a specific name on complaint, just note your concerns regarding the hunger strike – form can be obtained at the following website, just copy and paste. Thank you. WHERE??? IS OBAMA??? ONE OF THESE BLACK BROTHERS COULD BE HIS SON IF HE HAD ONE, OBAMA SHOULD SPEAK OUT ON THIS HORRIBLE IN HUMANE TREATMENT OF ALL HUMANS. HE SPOKE OUT FOR TYRON. ANOTHER ISSUE IS THAT WHEN DEATHS HAPPEN IN THE PRISONS , IT IS ALWAYS CALLED SUICIDES, WHO REALLY KNOWS THE TRUTH??? GOD IS WATCHING ALL THESE HORRIBLE THINGS GOING ON AND MANY WILL BE ACCOUNTABLE, THE INMATES ARE ALREADY PAYING FOR THEIR MISTAKES, WHY ARE THE GUARDS MISTREATING THEM, WE DO NOT PAY THEM TO ABUSE THEM, THE SYSTEM IS SUPPOSE TO REHABILITATE THEM AND GOD WILL GUIDE THEM INTO REPENTANCE FOR THEIR MISTAKES AS THE DO THEIR TIME. SO COME ON OBAMA GET INVOLED REALLY IF YOU HAD A SON MAYBE IT WOULD BE ONE OF THESE INMATES REGARDLES OF THEIR COLOR OF SKIN. THEY ARE STILL HUMAN, WE TREAT DOGS BETTER THAN HUMANS.GOD FORGIVE THE SYSTEM AND THE BAD AUTHORITIES.